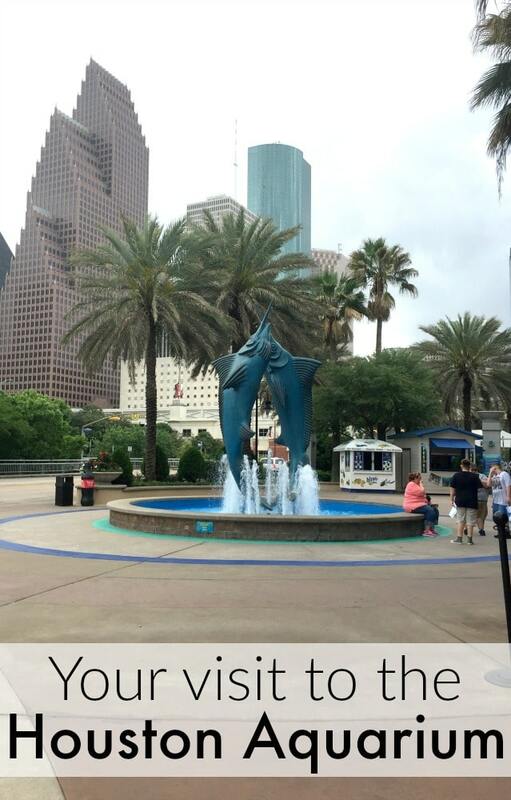 With so many fun things to do in and around Houston, the Downtown Houston Aquarium was something we always somehow missed out on doing. We were able to finally make it to our aquarium for the first time this month, and were wowed by how much there was to see and do at the Houston Aquarium! We will definitely be back! I had heard mixed reviews about the Aquarium, so I really wasn’t sure what to expect. There was so much to see and do there though, it’s hard to know where to begin! The fish tanks are huge with multiple types of fish in most of the tanks. It’s interesting to watch them all interact with one another. There are multiple rooms to walk through with tanks featuring different types of water life. 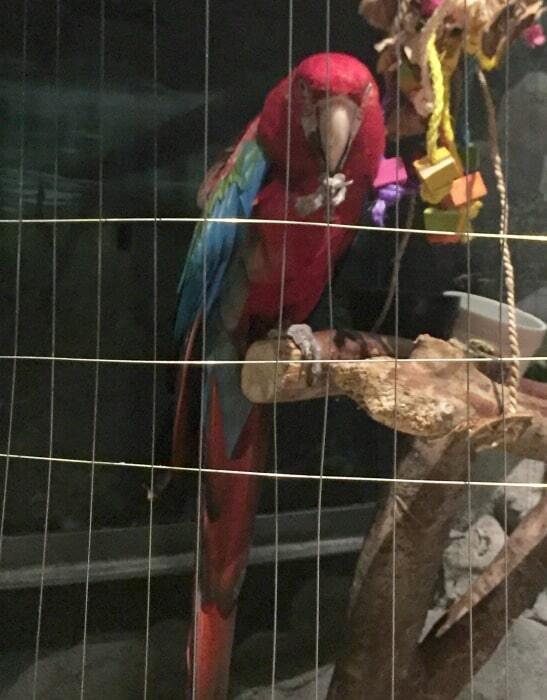 Each exhibit has its own exciting theme, so you can learn about the types of animals that live in different areas. You’ll visit the “Louisiana Swamp” with crayfish, crawfish, turtles, spotted gar and more. Then you’ll explore a shipwreck with gorgeous ocean fish. You’ll see tangs, a giant pacific octopus, clownfish and moray eel. 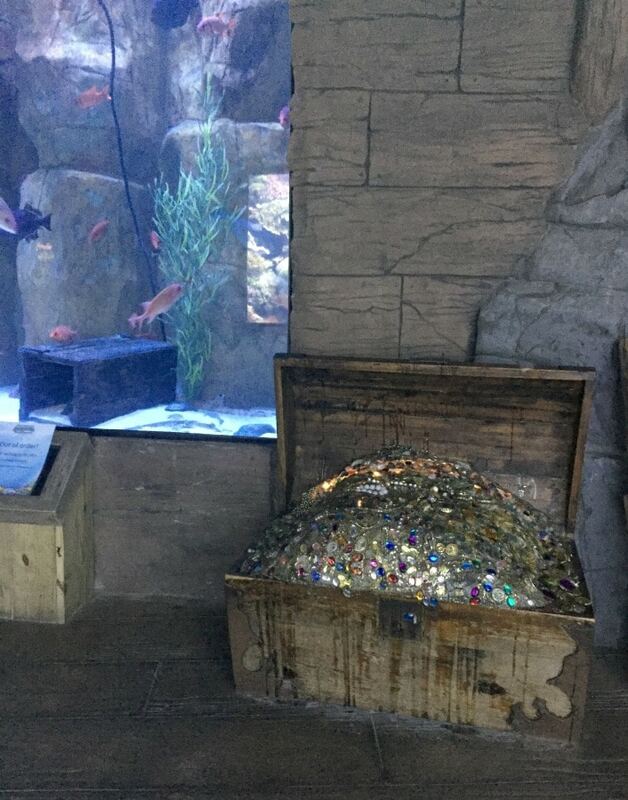 Don’t miss the photo opp in the shipwreck room where you can take a shot of the kids next to the treasure chest. In this room, you’ll also see the living coral reefs put together by the biologists at the Aquarium. 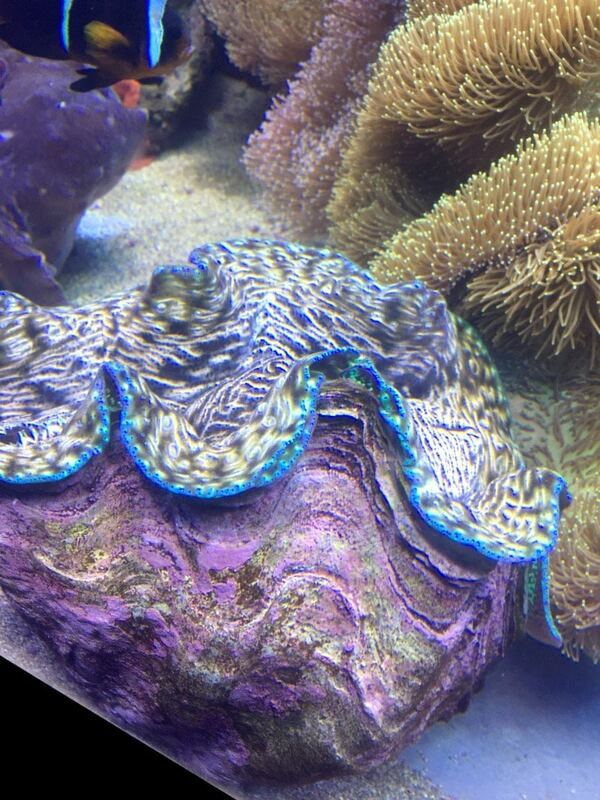 I’ve never seen coral this big, it was gorgeous!!! If you stand still you an even watch them move! Next, you’ll explore the tropical rainforest at the Houston Aquarium. Come face to face with piranhas, freshwater stingrays, a tree boa, gorgeous brightly colored frogs and even some gorgeous rainforest birds. After the rainforest, you’ll enter the sunken temple exploring the ancient legends of “El Dorado”. 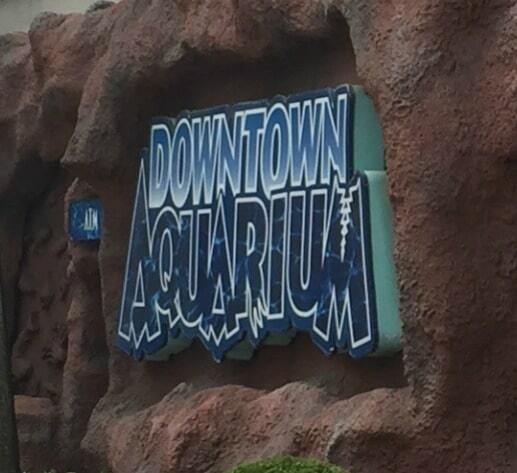 Inside, you’ll find pufferfish, lionfish, tarantula a Tiger Reticulated Python that’s over 20 feet long and more! See glimpses of offshore rig divers from our own Gulf of Mexico exhibit. In this room you’ll see snappers, redfish and a really cool computer exhibit that allows you to track sharks across the world. So cool! 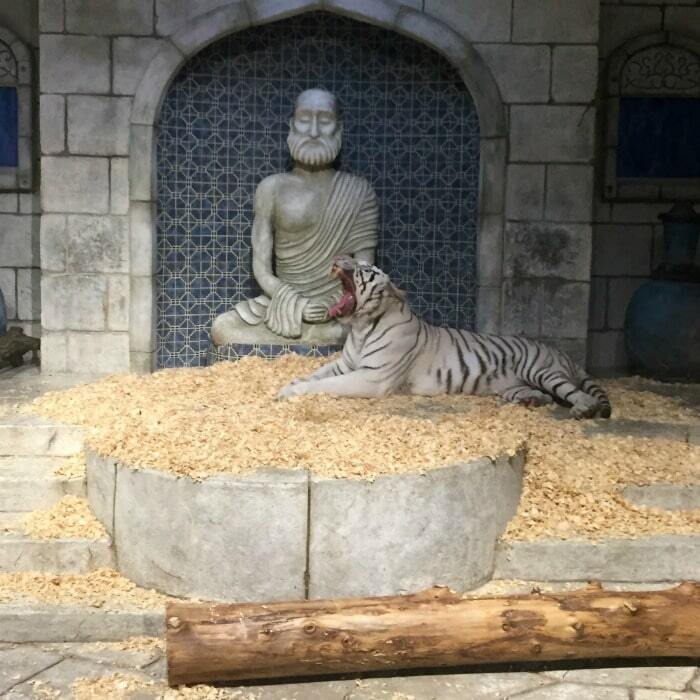 Then, walk through Maharaja’s temple to see the gorgeous white tiger! I was impressed with how close we could get to the tiger’s enclosure. The tiger at the zoo, always feels so far away, you can hardly ever get a good glimpse. This one was so neat to look at! 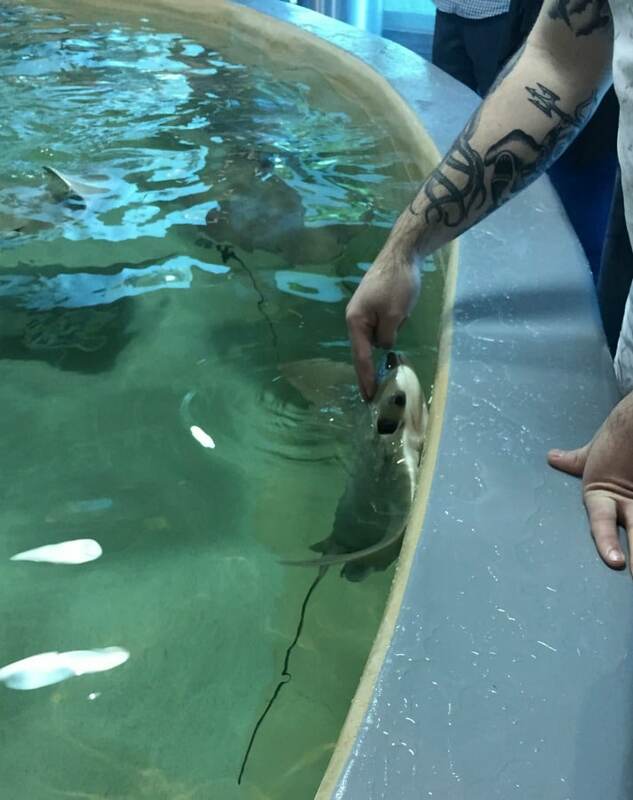 I highly recommend you make your way to the sting ray reef where you get up close and personal with the rays. 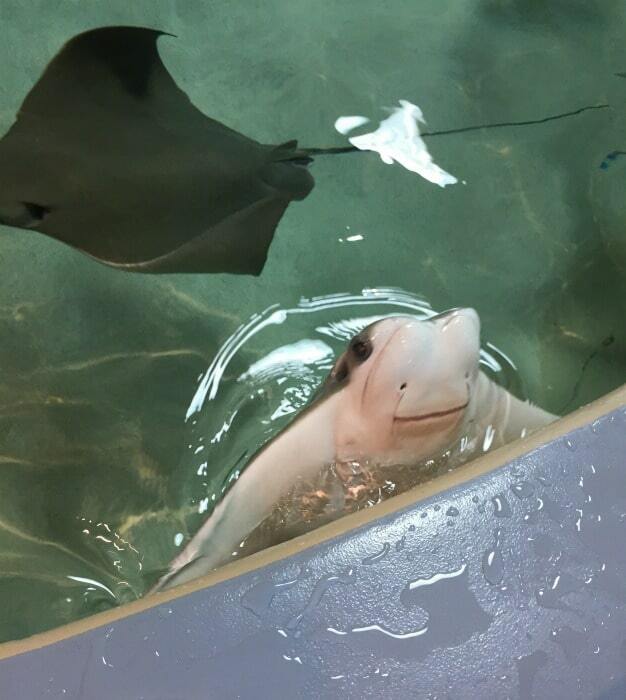 You an also buy food to feed the rays, but they are super friendly and will swim right up to you, even without food! This little guy popped out of the water to say hello! 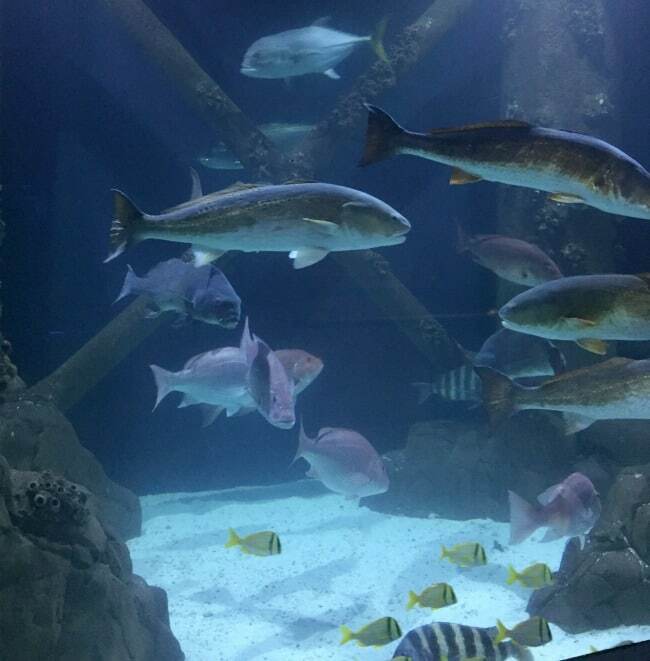 The Houston Aquarium also has a restaurant where you can eat with gorgeous fish tanks surrounding you! We didn’t end up eating there this time, but it looked amazing! There are a variety of outdoor activities too. From rides to a train and even a variety of games, it’s like a whole carnival just outside the aquarium and it’s definitely an aquatic paradise for kids! 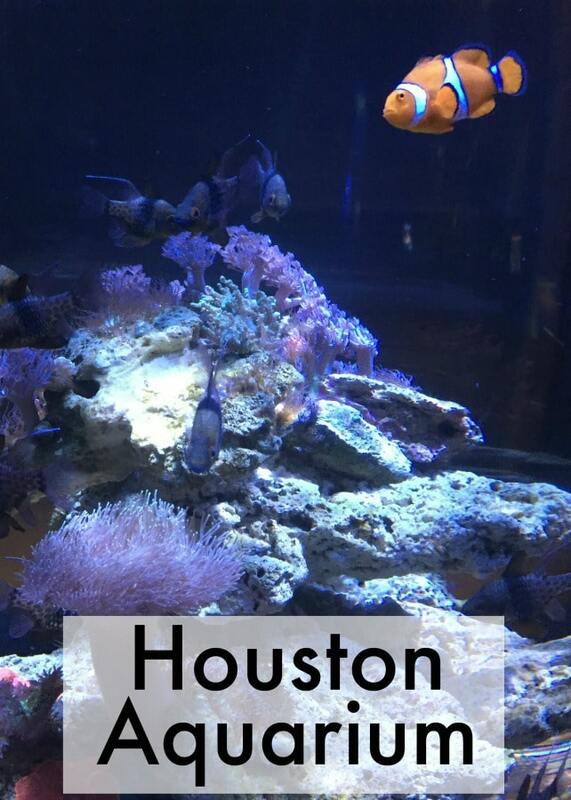 Whether you live in Houston or are just planning on visiting, I can’t recommend the Houston Aquarium enough as a must-see spot! 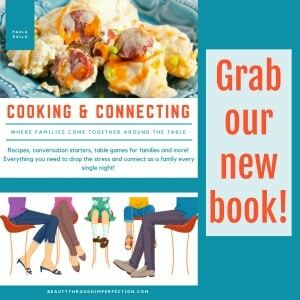 the following includes an affiliate link to a Houston feature I have personally used and love. 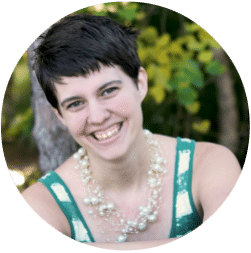 If you choose to purchase through my link, I will make a small commission, at no additional cost to you. If you’ll be in Houston for a few days, considering getting a CityPass. With CityPass you get admission to five of the coolest destinations in Houston (including the Houston Aquarium) at a 49% discount. CityPass gives you tickets to the Houston Museum of Natural Science, Space Center Houston, the Houston Aquarium and your choice between the Houston Zoo and the Museum of Fine Arts and Kemah Boardwalk or the Children’s Museum of Houston. It’s a great value, that includes most of our favorite spots! Get your CityPass here! While you are in Houston, be sure to check out our list of over 100 fun things to do in Houston with kids. 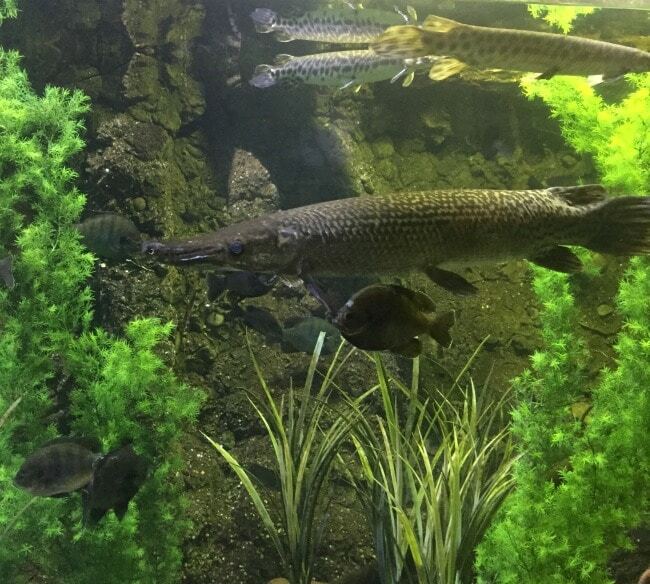 Hey Buddy!, I found this information for you: "What to see at the Houston Aquarium with kids". Here is the website link: https://www.beautythroughimperfection.com/houston-aquarium-with-kids/. Thank you.